People around the world celebrate St. Valentine’s Day on 14th of February. It’ a nice tradition to make a declaration of love and devote time only to beloved in a cosy and romantic atmosphere. Luce Restaurant is the most suitable place for special evenings. 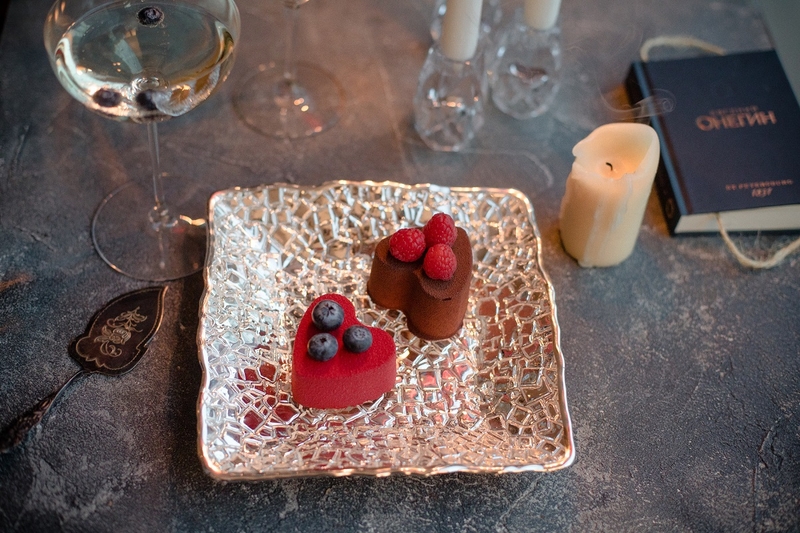 Dimmed light, the best sorts of wines from different countries, special heart-shaped dessert for couples and live music will make your evening unforgettable. Atmosphere and interior of the restaurant will take you away from daily grind and turn your dinner into romantic fairytale.